When you are a Mom of a large family, you need to be able to count on your kids to do their fair share to keep the house, and especially their rooms, in order! 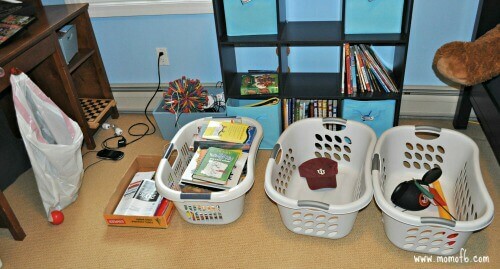 You really can teach your kids “how to keep your room clean” -and it works when you break it down into 4 easy steps! 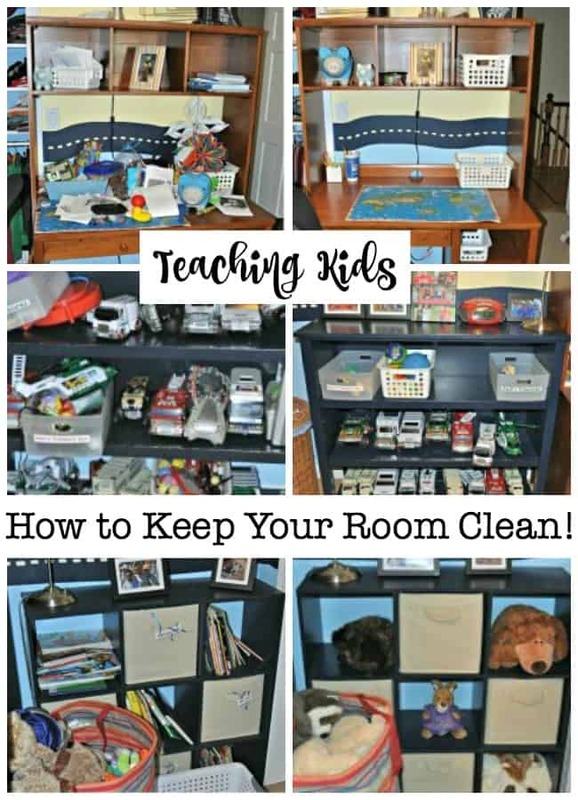 Now what I'm talking about here is not necessarily dusting and vacuuming, although those are all great things to teach kids too, but I'm talking about teaching kids how to create an uncluttered space, where everything has a home, and the kids know how to put things away when they are done using them, so the area can be maintained over months (not days!). 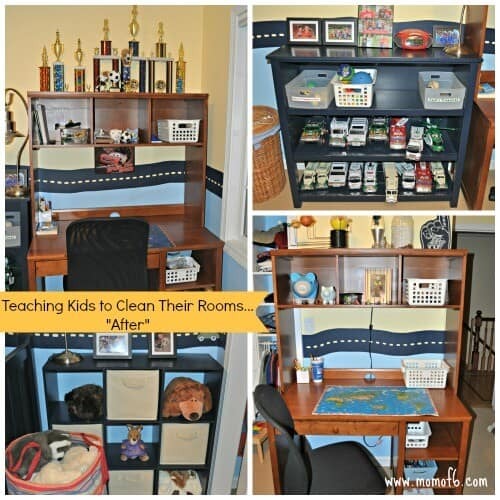 The bonus of teaching kids to clean their rooms and maintain a clean room is not only that you won't have to do it for them, but you're really teaching them a lifelong skill about how it is so much easier to have a clear mind and to be focused when the space you are working is de-cluttered and organized, and you can find what you need. So set aside a few hours- because you are going to need time to teach them these skills. And remember- you are also building a foundation for an organized adulthood! Before you can dig in and start decluttering and cleaning, you'll want to gather several empty boxes or laundry baskets so that you will have a place to sort and “stage” items. You will want one box or bin to hold items that you want to donate, another one to hold items that need to be returned to other places in your home, and you'll also need a large garbage bag to gather up the trash. I also find it helpful to use another box to hold paper for recycling- because kids seem to collect tons of school paperwork, notes, and drawings in their rooms! Decluttering is really a very simple process, but one that takes practice to master. You want to start at one point on the desk, bookshelf, or somewhere in the piles of stuff on the floor- just pick a starting point. Begin in a small area and start picking up items one by one- pick up each item, look at it, and decide- do I really love this? Need this? Or just want to keep it? And if so, do I have room to store it? Or am I done with it- and if s0, can I donate it or recycle it? Or is it just garbage? 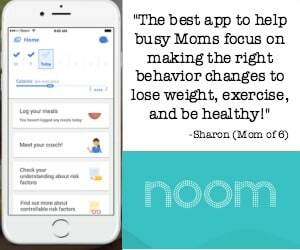 Every single item needs to be examined, those questions need to be asked, and then your child can decide what to do with that item. It helps to have a small area on the floor or their bed where they can sort their “keeper items,” grouping like items together while he or she continues going through the sorting process. You don't need to be thinking about where everything is going to be stored just yet, just start by sorting and making piles. I also advise you to sort things from their original location into the piles- don't sweep everything off of the entire desk and then start to sort, it just makes even more of a cluttered mess in the room, and makes you feel overwhelmed by the task ahead of you! Now that you see what you've decided to keep and you have grouped like items together so you see how much you have of those items- now it is time to decide the best way to store them and put them away. This the time to challenge yourself and your kids to look at things differently, instead of just piling all the school papers on the left-hand side of the desk as you have always done, maybe a better solution is to buy a filing box where your son or daughter can file them by grade or by class. Teach your kids to keep their eyes open and look for new ways of doing things that can bring order to their life (and yours!) and help them to stay uncluttered. You still need to teach your kids one more lesson, and that is- when you are done using something, put it away in it's dedicated space. The place where they will know to find look when they need it again. 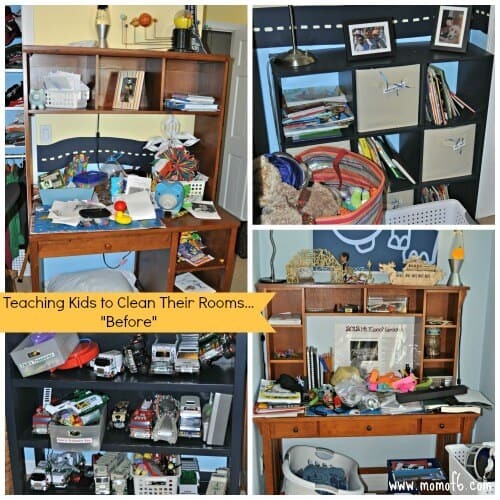 If you can teach kids this important lesson, you are setting them on a course to lead a less cluttered life! 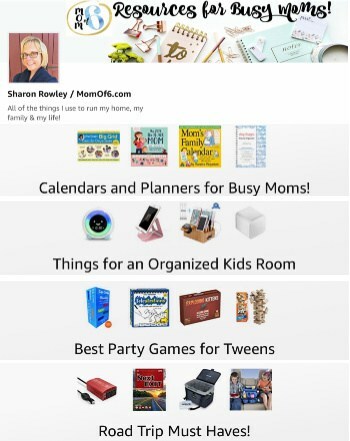 Are You Looking for More Back to School Ideas? Well- what do you think? Are your kids ready yet for this lesson? 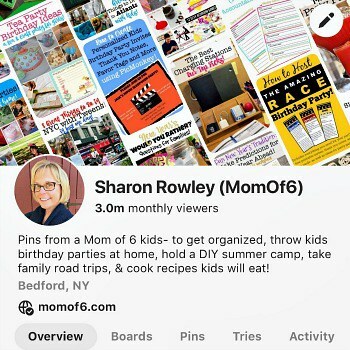 Hi I love your tips! Where are those great desks from?? If I remember correctly, all of the desks came from Pottery Barn kids. When the kids each turned 4 or 5 years old, both sets of grandparents as well as Steve and I chipped in to buy them a desk and a chair. It was an investment, but they will be used for years! I need to do this with my kids! 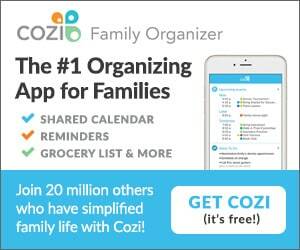 I have 4 that are close in age (7, 7, 9, 10) so I appreciate finding your blog! I have done this with my kids, too! It really does work for my 7 year old girl, but my 5 year old girl really relies on the 7 y/o to do all the work, then we get complaining that “I (7 y/o) do all the work while SHE just sits there!” And, really, my 5 y/o complains “I don’t know how” but I think she really means she doesn’t want to do it the wrong way according to her sister. We are working on that, too! Lol they share a room, and unless we move they will be sharing for a few more years. Oh Lisa- I SO hear you. Each of my kids shares a room with a sibling, and in every case, this is a “do-er”, and a “watch and complainer”. I try to work more with the younger one so the burden doesn’t completely fall on the older one to clean the entire room. I also ask each of them to focus only one their own things- their own shelf of books, their own desktop, under their own bed (it’s always a revelation as to what we find other there! ), etc. And mine will be sharing rooms until they leave for college! A life lesson on learning to live with a roommate, right?